The suspects who were arrested and paraded by the Osun State Police Command on December 28, 2018, in Ifon, reportedly chopped off the head of the businessman for ritual purpose. 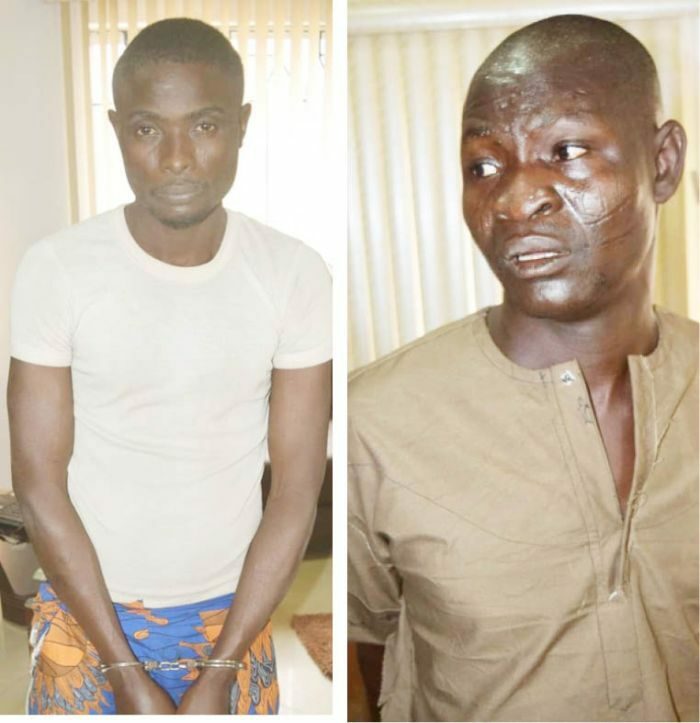 The State’s Commissioner of Police, Mr. Fimihan Adeoye, who confirmed the incident said that the suspects were allegedly contracted by another businessman, Yekini Ayinde aka Abija, currently at large, who paid them N200,000 to kill the deceased. According to the suspects, Isiaka had supplied bags of rice to Abija who didn’t want to pay for the goods after selling them, hence his contract to to kill him. Amusat who narrated how they killed the businessman. When we got to the bush, Abija told the driver to stop and he gave us a sign. We quickly overpowered Isiaka and tied him with a rope.